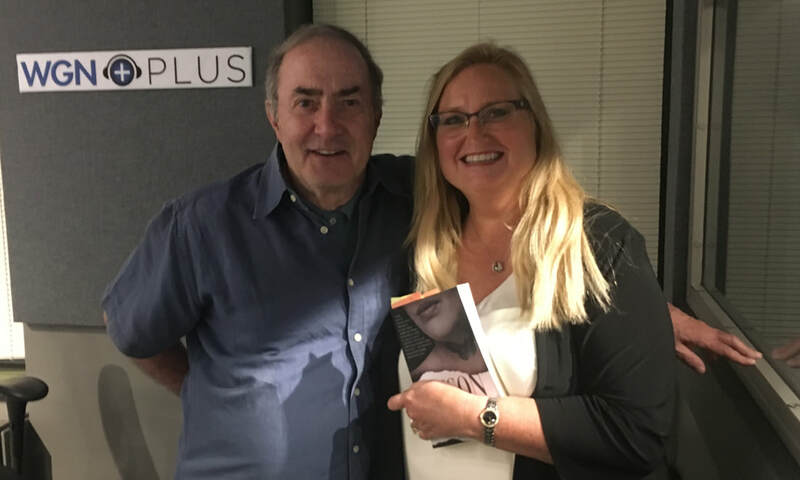 Cheryl Reed joined Rick Kogan in the studio to tell him about writing her very first novel, “Poison Girls.” She talks about the amazing transition she made from journalism to novels, told him about how she wound up at Syracuse University and her amazing opportunity to teach in Ukraine. During the early 1990's a crime reporter for the Dayton Daily News named Cheryl Reed was investigating the crack cocaine epidemic that was underway during that period. Reed was able to interview some young women who were using crack. Reed had been assured by the local police that she would not find any users of one particular race, young white girls, that they simply did not exist in Dayton. Their claims were dubious. As Reed was in the process of disproving that theory a tragedy took place; one of Reed's interview subjects was murdered and this naive young reporter suddenly found herself in a really bad situation. Reporter Gilat Melamed covers the Fact vs. Fiction program in which author Cheryl Reed reads from her novel, Poison Girls, and discusses the reality of the opioid crisis with former heroin addict Jordan Eubanks. Author and Newhouse Professor Cheryl Reed knows all too well how serious the opioid crisis is right here in the United States. As a crime reporter in Chicago, she saw firsthand what drug addiction can do to everyday teenage girls. Now, more than a decade later she's detailing her experiences following the lives of young girls into her debut fiction novel "Poison Girls." The novel not only addresses the opioid crises but also touches on the ways in which girls find themselves as part of a growing statistic. As a newspaper reporter, Cheryl Reed spent months writing about young girls addicted to crack cocaine in the 1990s. Then came the current heroin/fentanyl epidemic, which seemed “eerily similar.” Reed decided to update her reporting, but this time in fiction. Her mystery, “Poison Girls,” follows the gritty adventures of Natalie Delaney, a crime reporter for the struggling Chicago Times, when teenage girls from prominent families are found dead of fentanyl-laced heroin overdoses. Cheryl L. Reed was waiting through flight delays to get her next event this week. The professor and author had several panels and a reading to participate in over the weekend at the Left Coast Crime conference in Reno, Nev. During the delays, she took time to speak with the Daily Press. Syracuse News-Standard Review: New thrillers and mysteries: CNY books and authors: "Dangerous Addiction"
Using a fictional noir style, Reed tells a story of the young, affluent, and addicted in "Poison Girls." Set in Chicago, 2008, the story follows a reporter who uncovers political motivations behind the drug epidemic. Poison Girls was recently published by veteran journalist and Syracuse University’s S.I. Newhouse School of Public Communications assistant professor Cheryl Reed. Her coverage of deadly drug use among girls was the inspiration for this novel. This month, local writer Christine A. Krahling talked with Cheryl, to get Cheryl’s take on the country’s deadly opioid epidemic, her writing process and what she thinks about the state of journalism in our fast-paced society. Three new ITW Debut Authors with their fabulous novels. It gives me great pleasure to introduce you to Cheryl L. Reed, Debra Sennefelder, and Tom Hunt. Bolo Books post on "Telling the Story of Heroin and Girls"
Every crime novelist comes to the genre by way of their own unique navigation. My map starts when I was a street reporter, vicariously living through my subjects, using my job to infiltrate subcultures and soak up their secrets. When I was a newspaper crime reporter—back in the day when people read newspapers—my work provided access to the macabre and the maddening. I interviewed mothers who forced their babies to drink Draino, love-struck girls whose boyfriends convinced them to kill strangers for their sneakers, and teenage serial killers who detailed their crimes with dry eyes. ​CHICAGO—In a city known for gangsters, bootleggers and corrupt politicians, residents will tell you the most reviled actor on the North Side is a tow-truck company. CHICAGO — An author who said Lincoln Towing Service illegally grabbed her car while she celebrated the publication of her book got her money back — all $218 — from the notorious company.